The safety of autonomous vehicle technology is under the microscope once again following a crash on Friday in Arizona involving a self-driving Uber. The vehicle involved in the accident, a Volvo XC90 luxury SUV, came to a stop on its side as shown in a photo shared on Twitter. The Chicago Tribune said in a report that the Uber vehicle was struck when another vehicle failed to yield. A Tempe police spokesperson said there was a person behind the wheel of the Uber vehicle although it’s unclear at this time if they were actively controlling it. No injuries were reported. 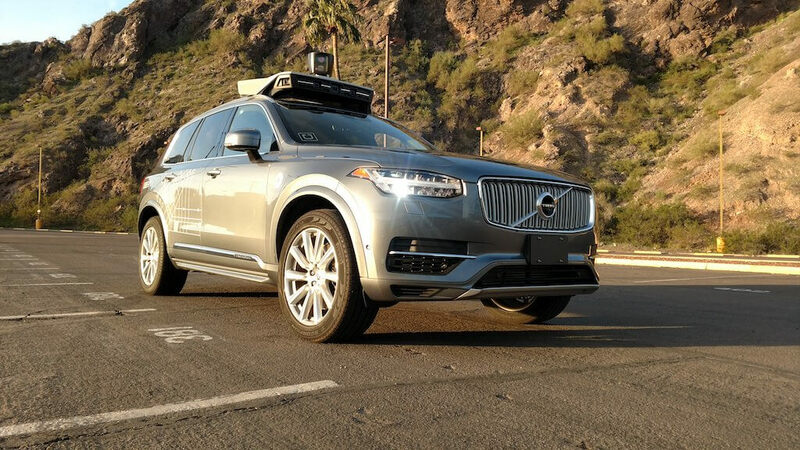 A spokesperson for Uber confirmed the incident with Bloomberg, adding that it has suspended testing of its autonomous vehicles in Arizona – and has paused similar operations in Pittsburgh – until an investigation into the matter is complete. The spokesperson added that there was no Uber passenger in the backseat at the time of the crash. Again, the Uber vehicle was not responsible for the accident. Uber’s fleet of self-driving Volvo XC90 SUVs hit the streets of San Francisco in early December. The autonomous rides were quickly forced off the roads, however, as the California Department of Motor Vehicles revoked their registrations. In February, Uber moved the fleet to Arizona where it has been operating for the past month without incident.